It's been a little while working with all this stuff doing mainly installations, and I didn't have much to work with previously because most of this stuff on average, and just even for the touchpanels is about $5000 and up. Here's a quick and easy demonstration of a system I put together and programmed, in which switches the internal low voltage relays. I got lots of help from the people over on an AV forum and another guy who've i've been emailing with back and forth for helping me understand SIMPL Windows programming in more detail. It's a bit dark and I was tired after this... I spent nearly all day updating the firmware for my TPS-4000L and the MC2E control processor. 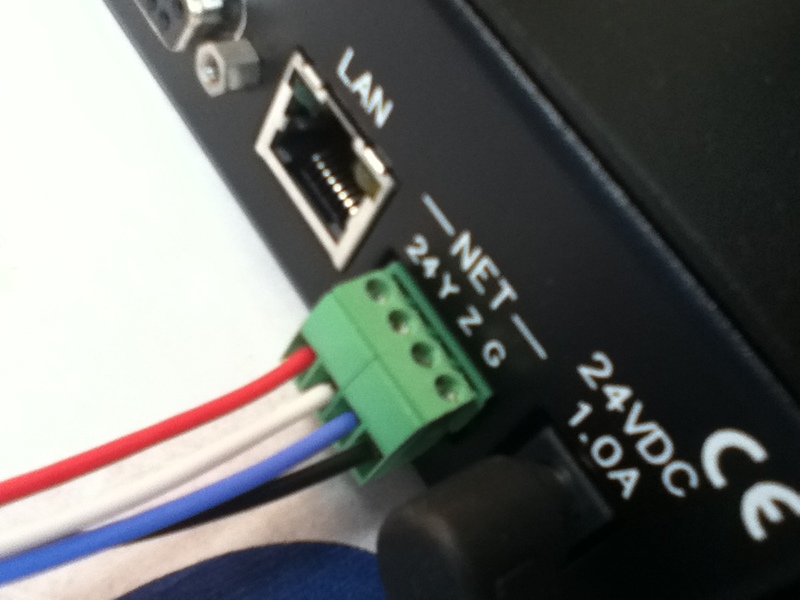 Connection was via a belkin USB to serial adapter, and I created addresses for both these connections in the Crestron Toolbox. 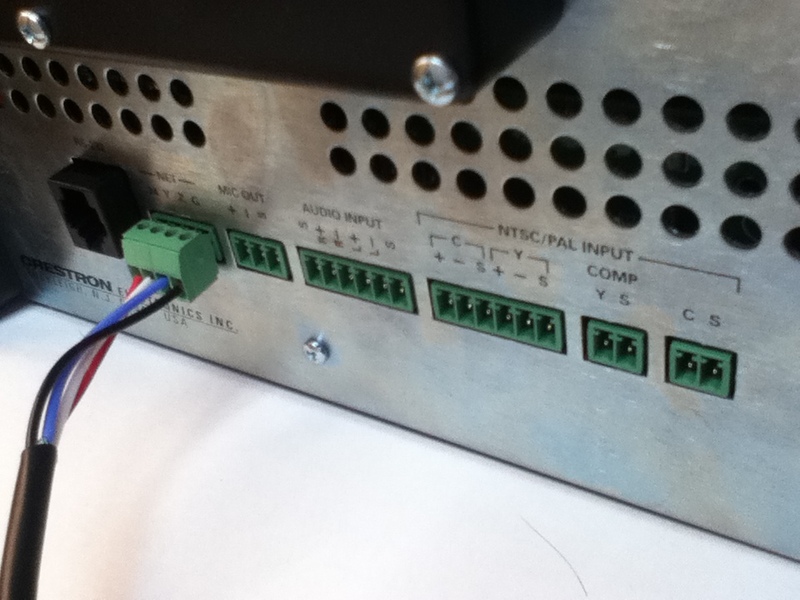 Connection to the TPS-4000L was forgiving, it was a pass through from the MC2E via Serial/RS-232 (COM port 3) through Cresnet. Same thing for project/system uploads, GUI (VTpro project) to the Touchpanel, and the actual core programming compiled into a file in SIMPL Windows and uploaded to the MC2E 2 series control processor. I have a video uploading to Youtube right now, it will take a little while because I didn't compress it or anything, it's just a direct MOV format from my iTouch I was using to record my screen while I was typing and doing the demo. Basically, after all was said and done, it was fairly easy. Lots of starting headaches though, I had the Cresnet ID for the Touchpanel set to 04 instead of 03 in the beginning and my SIMPL project referred to the Touchpanel on NET ID 03, thus there was no communication and I spent 2 hours of troubleshooting to finally see the problem. 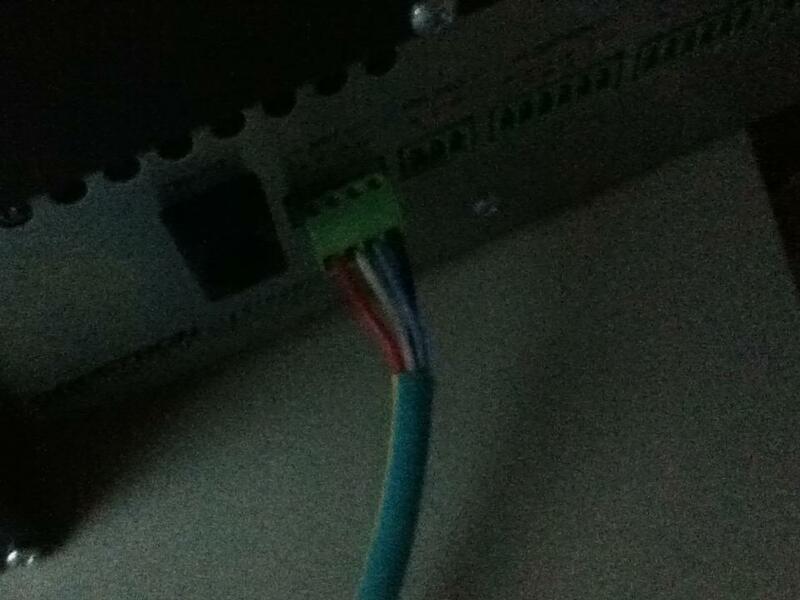 I have my Digital joins on 11, 12, and 13 for respectively Relay Up, Relay Down, and Relay Stop events. These are simplified over in the SIMPL Windows project for both the press number inputs and the feedback's. I'm only using 2 of the 4 low voltage relays though as you can see in the SIMPL program view, (A1 & A2). One of the lines in the logic module for the interlocked relay up/down, isn't being used, so it has to be commented out so that we can compile and upload to the MC2E. The VTPro project itself is only a 1 page project, but 3 button objects on that page, therefore we only really needed 3 lines to occupy on the TPS-4000L module block in the SIMPL Windows test project I made here. Basically the Touchpanel gets powered through the control processor via Cresnet on 24 and G, the other 2 in the twisted pair are for the data. Next thing to do, make my room cooler with auto dimming lights and a nice sound system! The video on youtube has about 2 hours left to upload, so you'll see a demo of this before I head off to bed today. It's a bit dark, but the scanlines are just a result of the way my iTouch interprets the image on my monitor. Note: I don't have the relay output's hooked up to anything so all you can hear is the clicking and see on the touchpanel visually when the relays switch on and off. I'm now using that TPS-4000L to control my bedroom TV now though. I have an IR driver module for the TV that I have programmed in SIMPL Windows to which i'm sending commands through, and outputting IR hex codes directly to the TV, specific to each button object on my VTPro GUI for the TPS-4000L Touchpanel. TPS-4000L via Cresnet back to the MC2E and to the IR/Serial output, port A from A-D, which blasts IR to my TV for the control. It's an old KV-13FM12 Sony Trinitron, therefore no RS-232 ports anywhere, so really all I could do with it is to control it by IR. So the IR emitter is now sending whatever my processor tells it to send, based on the object events from button presses in the Touchpanel interpretted by the processor itself. This was a day or so ago. 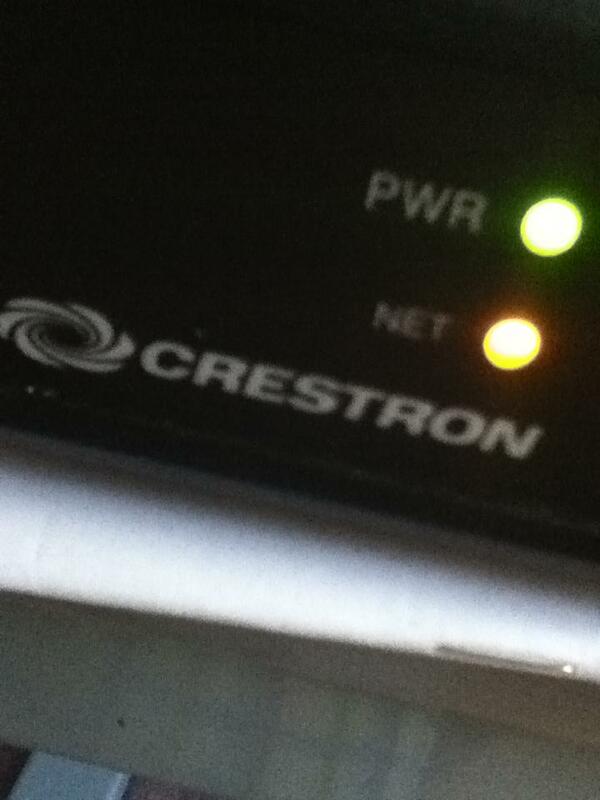 Got my Shaw cable box controlled now via IR as well today lol. 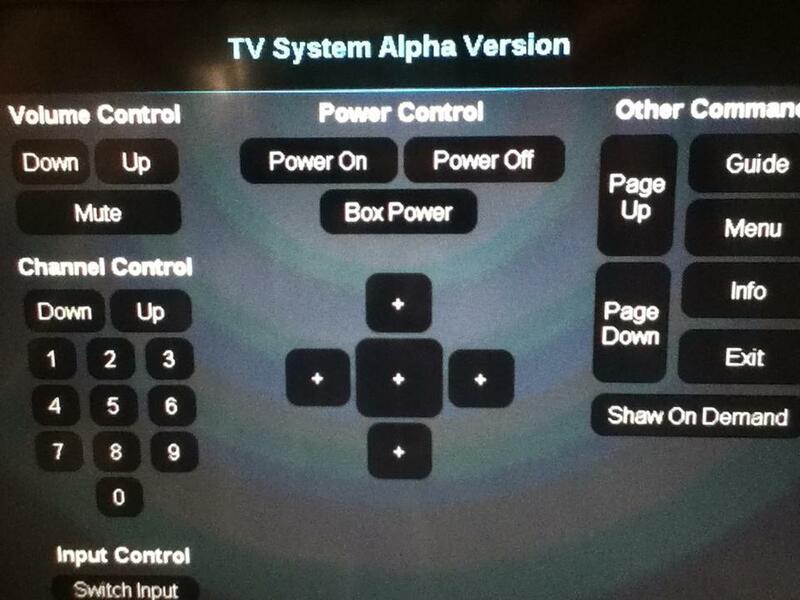 Touchpanel is pretty much fully functional for both devices now, TV and Cable Box inputs, I just need to program the events for everything that these 2 devices are capable of now, and also upgrade my touchpanel visual now... To something a bit more navigable. Never knew the Shaw cable boxes were manufactured by Motorola. They're making a pretty penny off them I bet though. Model for the one i'm currently controlling is the DCT700. Maybe i'll open SIMPL+ for this and create some modules for certain macro's to do certain tasks, and wrap them in other modules through my SIMPL Windows project here on this one. Having too much fun with this stuff. I had a co-worker ask me a while ago "So, you're controlling your TV through IR *confused look* I hear?" lol. Some of the people I work around though have never seen some of this stuff though in automation, so they didn't understand much of what I was working on at home. They thought it was cool though! Edited by AceInfinity, 16 September 2012 - 07:31 PM. 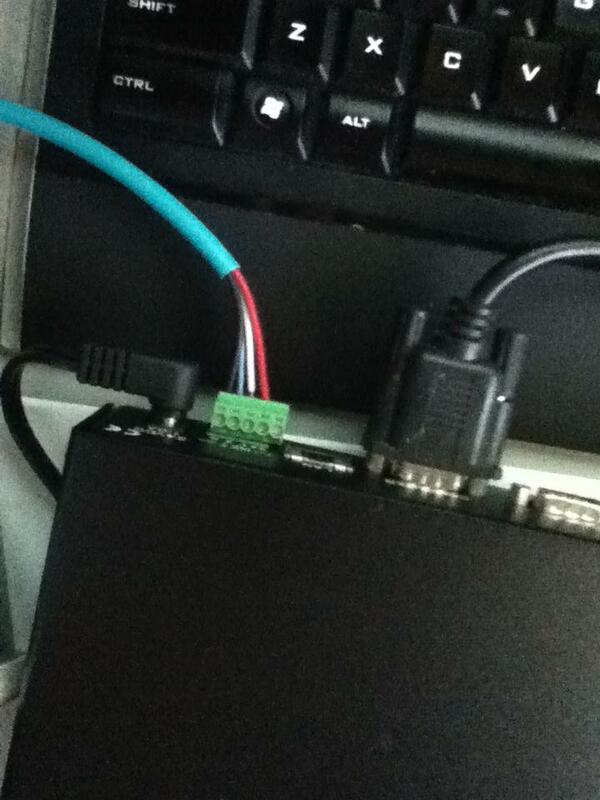 Fried my RS-232 to USB adapter though while uploading to the Touchpanel. It was getting a little hot, and now the device malfunctions and isn't recognized when it's connected to my PC. Device manager calls it "unknown". I believe it's done. No surprise though it's not just some cable, There's data through RXD, and TXD going through there, which needs to be converted into a format that can be recognized through a USB port for COM. Therefore, a conversion has to happen. This is done through a bunch of parts they've built into the adapter. Transistors, resistors, capacitors, diodes, chips, etc... from what I can see (because it's a clear case). Then i've got a couple IR emitters on the Serial/IR output on the back of the processor which go to my TV and Shaw Cable box for which i'm controlling.